This is such an awesome reference! Thanks for doing this!!! I got a new package from unique corals today to ship in to Triton. So, redid the test with a new batch of Tropic Marine Pro-Reef since I gave the rest of the previous batch away already. Salinity was at the low end of the 35ppt line. 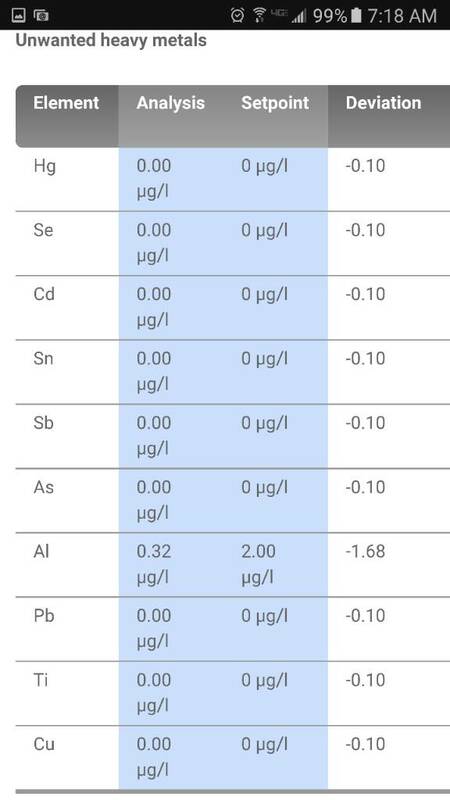 I'll be curious what the calculated salinity will be at from the triton results. The RC I read at the high end of the 35ppt line and it came back as 34.99ppt from triton's results. Dropping off the samples tomorrow to be mailed off. No new Red Sea coral pro results? Not yet but more results the better. 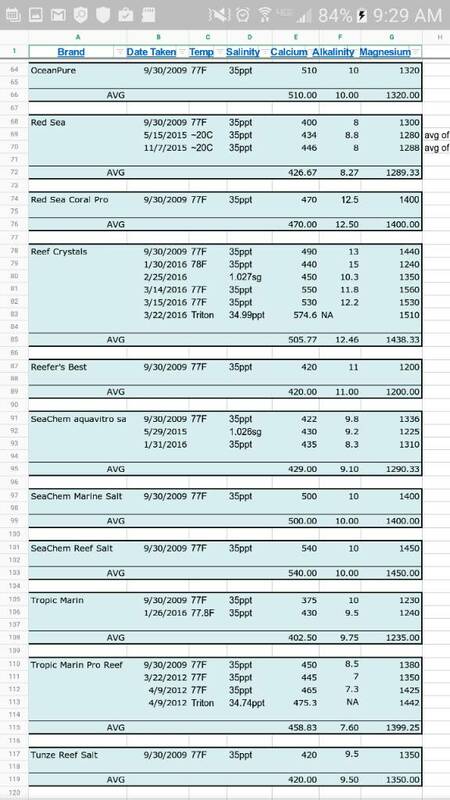 And the Tropic Marine Pro-Reef Triton results are in. Salinity above Calculates out to ~34.74ppt. Thanks for doing this. Great info. 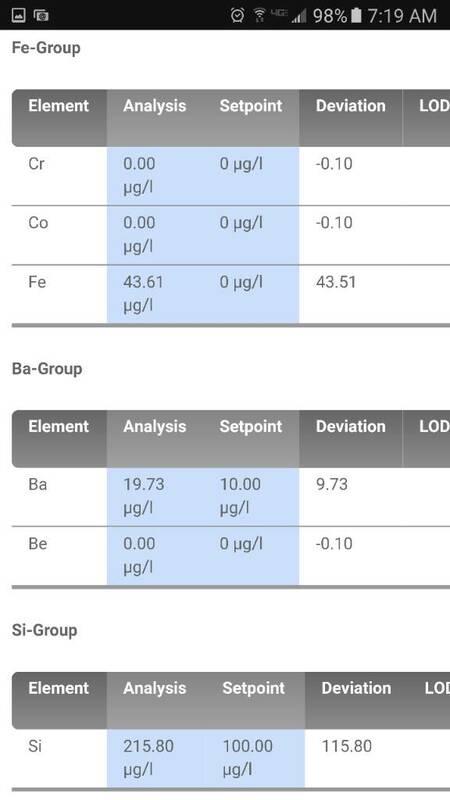 I know trace elements isn't your focus, but I couldn't help noticing two of the last 3 triton results (including reef crystals, but not IO) show Fe. Your procedure seems solid. Can you think of any reason to suspect contamination? Or do you feel confident that's the salt batch? It's possible there's some contaminate. I don't know where it would come from unless my mixing pump is rusting. I will inspect it. Otherwise it could be part of the saltmix being they are reef specific salts and often boost many different elements and often include other organics not in regular salt mixes. Iron is an essential part to the growth of many things like bacteria and algae. Last edited by jason2459; 05/02/2016 at 08:29 AM. Brand: hw MarineMix Reefer, circulated for 12 hours, heated to 77 deg F for one hour, then tested. Thanks for the addition. I'll get started again soon. I test my water at 78 degrees after 24hrs of [email protected] Test Alkalinity with Hanna Checker and Verified by Salifert. 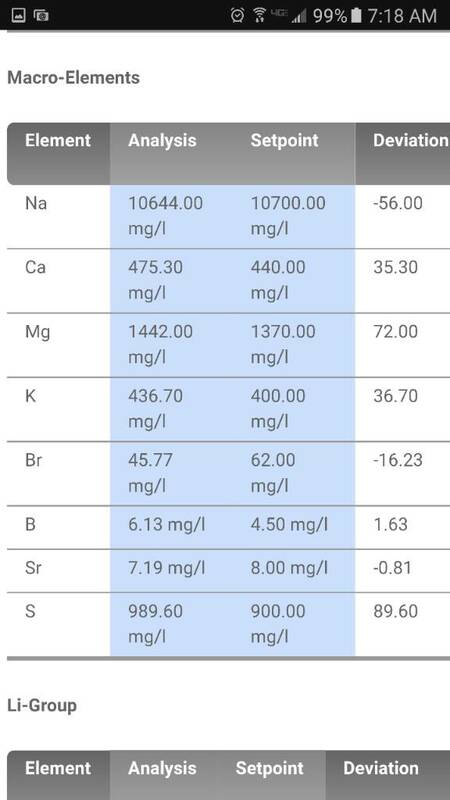 Test Calcium with Hanna (off by 100) and Salifert, Magnesium with Salifert. Waiting for Instant Ocean Regular and Coralife to arrive and will post results soon. I have been testing different salt brands myself after getting a real bad batch of Reef Crystals. 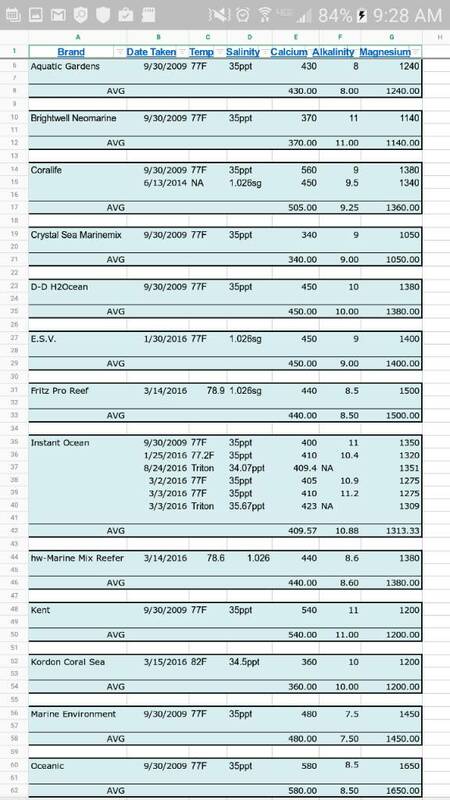 I used them for years with success but I changed salts after these results. I also found my Hanna Calcium checker to be off by 100. I have Red Sea and API test kits on hand to verify when I have off the wall results. I have some spread sheet updating to do so went ahead and decided to test another salt brand tonight. 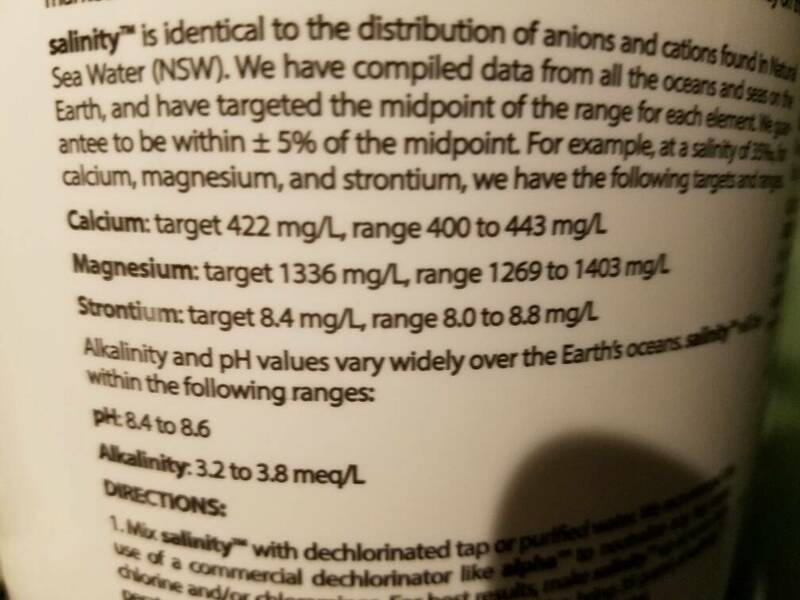 Aquavitro Salinity for reefs. 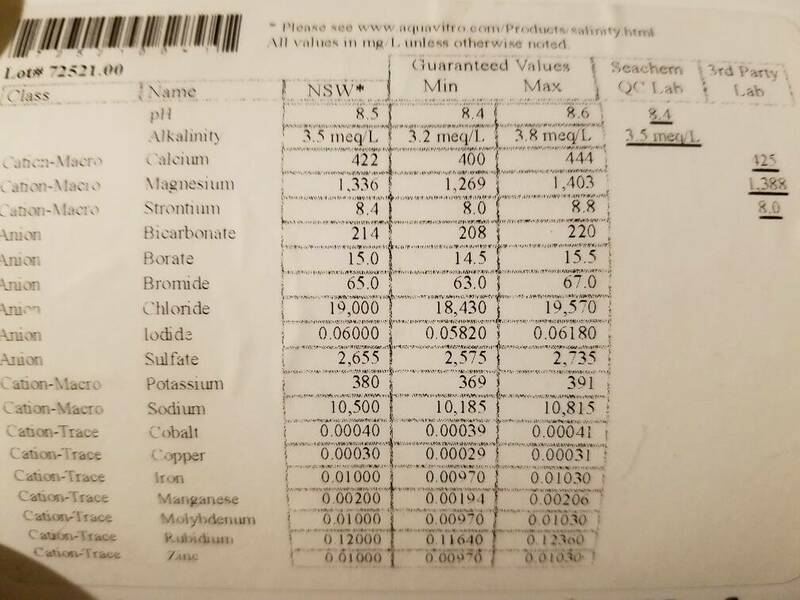 I find it interesting they have on the label tested results from the batch this came from. Still doesn't mean something can't happen and results from a bucket can't be off. Plus, they give quite the range for this to be in. Which goes to show that one should not expect one bucket or bag to be the same as another bucket or bag for any brand of salt. Basically what this entire thread is about. What can one generally expect from a particular salt mix. Here's what's printed on my bucket. Lets see how close it is with the 3rd party results. Samples to be sent off to Triton tomorrow morning. 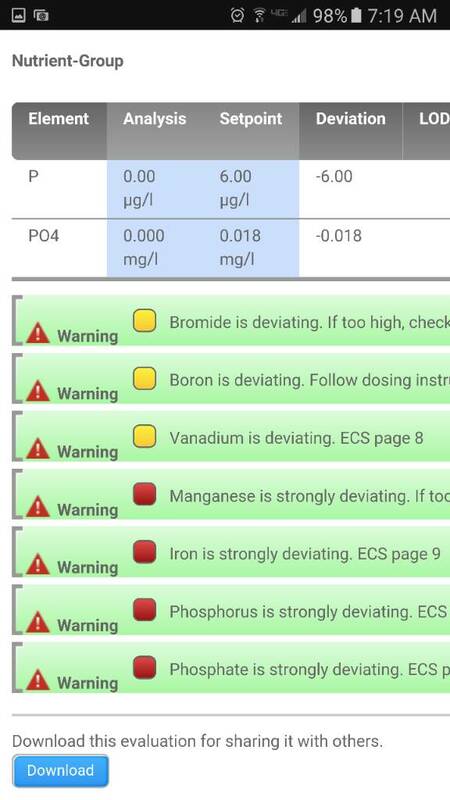 Something is way off on that IO Mg reading. Did you test again? Ca seems a tad low as well. Salinity level? When you use the entire syringe you can refill and drip again. Each drop is 5mg/L. So you dont even have to completely fill it the second time if you know you're close. I just reviewed the other results as well. I believe you have a testing error of some sorts. 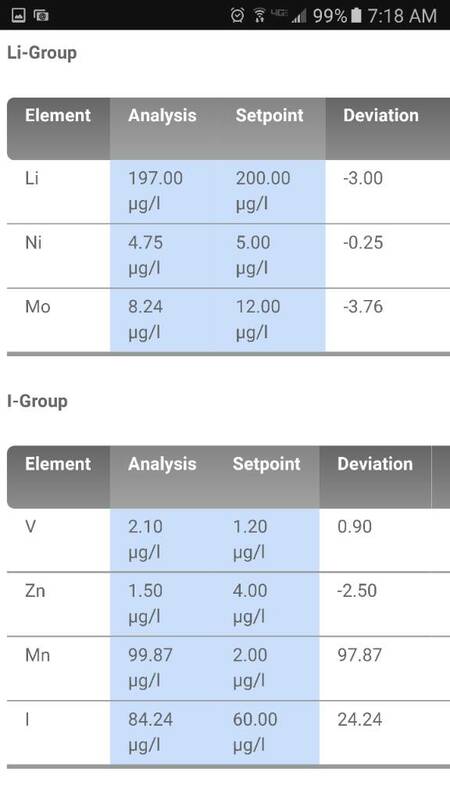 RC Mg should also not be near that low and seems your salifert Ca levels are low. Ok, if there's a known bad batch I'd prefer to leave them out of this listing.